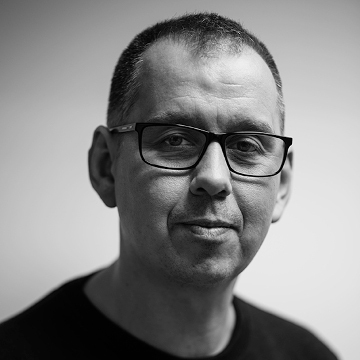 Having completed an HND in Electrical and electronic Engineering, Colin started his career as Head of test at Amek systems and control, he then joined Neve as a technical services engineer, finally joining IPE in 1988 where he became a director and Co-Owner. 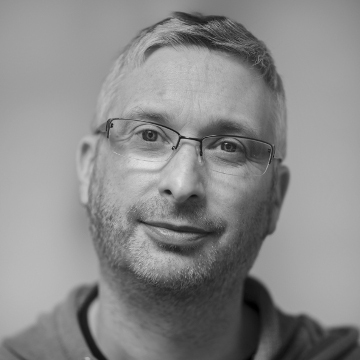 Over the last 25 years Colin has worked on all scales of project from small single studios to full broadcasting facilities, both in the UK and overseas. Involvement in the projects has ranged from design engineering through to project managing the BBC North and West one projects (£10m+) for IPE. Overseas, he has worked on major projects in New Zealand, Australia, Hong Kong, Slovakia and Italy. His UK clients have included BBC, ITV, Ericsson, Sky, RedBee. 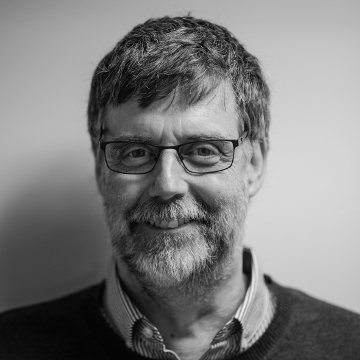 He has had a long term, and close working relationship with BBC and the BBC Regions, having overseen or project managed all of IPE’s projects since 2000 with the start of ‘Project England’. During this time he has successfully completed in excess of 30 major projects for BBC Regions and BBC Studios. 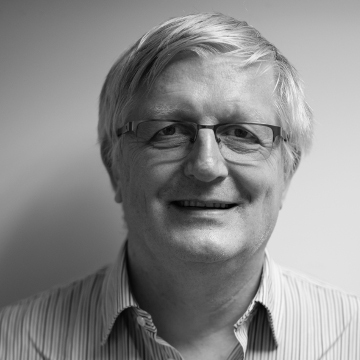 Ray has over 30 years’ of experience in the broadcasting industry. He started his career in operations with the BBC in London and Birmingham and then moved to Central Television in Birmingham, moving into Broadcast Management. He was then part of the team that set up and ran West Country Television. Subsequently, he moved back to the BBC, first at BBC Wales and then Bristol. Ray then set up his own company providing Broadcast Systems and Project Management consultancy to a wide range of blue chip clients including Philips, Thomson, Grass Valley, Macquarie Bank. He was the Project manager for the technical installations for the Dock 10 Studios in Salford, ITV news studios in both Leeds and Media City in Salford, and move of the Coronation Street studios to their new site in Manchester. Ray Joined IPE in 2014 as one of the Directors and provides general management, systems proposals and Project management supervision. He has recently been responsible for the overall project management and implementation of five regional ITV studios which were delivered on time and on budget. Simon started his working life at Audix undertaking PCB Circuit Design/Layout, Mechanical and System Design. Simon has worked for IPE for over 14 years as both an engineer and project manager. His most recent projects have been the Radio Visualisation Project for the BBC, a 4K presentation system for Facebook and the HD upgrade of ITV’s regional news studio in Birmingham. He has been involved in IPE’s refurbishment of almost all of the regional radio stations for the BBC. More recently he worked at Media City, both on the Dock10 and BBC North Projects, The two sites comprise seven Television studios, eight edit suits connected to centralised storage, MCR, Philharmonic Studio, multipurpose radio studio, and over 40 radio studios, workshops and audio areas. 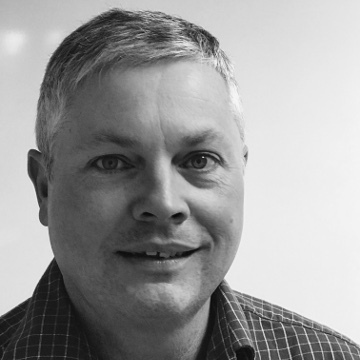 Richard has over 25 years’ experience in electronics and software development across a range of industries including power distribution, automotive, building management systems and broadcast in Australia, UK, Germany and USA. Projects have covered the full range from bespoke development to high volume production, giving Richard a unique skills set which is invaluable in the company’s development of highly advanced technology and solutions across a wide spectrum of industry. Richard has been working for IPE for more than 8 years. He has led the development of IDS to the system it is today, including project management and technical development activities. He has also been involved in the installation and commissioning of IDS for Dock10 and BBC North Projects as well as various projects for BBC, ITV, Ericsson and Sky. After studying computer science at university, Reuben embarked on a successful career in network engineering and corporate support. His experience translated to initially putting his mark on IPE's global support desk leading up to head of sales and development. Now with a global portfolio of clients, Reuben is expanding IPE's advanced IDS technology into broadcasting and new markets. This not only expands the horizons for growth, it underpins IPE's position as the leading technology developer and innovator in its field. This ethos forms the platform behind Reuben's sales and support team delivering the highest level of client support and after care at all times.